Dr. Sania Nishtar, SI, FRCP, PhD Dr. Sania Nishtar is a physician, former federal minister of the government of Pakistan, civil society leader, author and internationally renowned global health expert. She graduated from medical school in 1986 with 16 distinctions, setting a college record. She holds a Fellowship of the Royal College of Physicians of London and a Ph.D., from Kings College, London. Sania is the founder of Heartfile, a Pakistan-based NGO. She currently co-chairs the WHO Commission on NCDs along with the President of Uruguay. She is also the co-chair of the U.S National Academy of Sciences Global Study on the Quality of Healthcare and the Chairs the World Economic Forum’s Global Future Council on Health. Earlier she was founding Chair of the UN Secretary General’s Independent Accountability Panel for the Global Strategy on Women’s and Children’s health and has also served previously as Chair of the WHO Commission on Ending Childhood Obesity. She is a regular keynote speaker at international meetings. Earlier this year, Dr. Nishtar was in the running for Director-General of the World Health Organization, and was in the shortlisted three. As a Federal Minister, she set a new standard in transparency and accountability by publishing her handover papers. During her term, she was instrumental in re-establishing Pakistan’s Ministry of Health. Due to her independent stance, she is often asked to chair national commissions, public sector boards, restructuring committees, and reform task forces in the country. She actively advocates for transparency, integrity and accountability and was the featured personality on anti-corruption day in 2013 by the Asian Development Bank. She is an acclaimed author with 6 books and more than 200 articles. Her books are used as post-graduate text books and have been the subject of documentaries by an award-winning filmmaker. 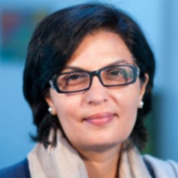 Sania Nishtar is the recipient of many national and international awards, including Sitara-i-Imtiaz, the Global Innovation Award and the Population Science Award.